CyclingPub.com - Daryl Impey on Tour Down Under victory: "I never dreamed to come here and win twice in a row"
Daryl Impey on Tour Down Under victory: "I never dreamed to come here and win twice in a row"
Mitchelton-Scott's Daryl Impey has taken the overall victory at the Santos Tour Down Under and became the first male to win the race two times in a row. 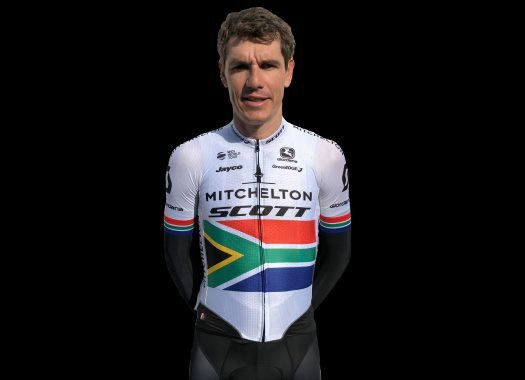 The South African rider crossed the finish line at Willunga Hill in the third position behind stage's winner Richie Porte (Trek-Segafredo) and Wout Poels (Team Sky). The day started with an escape of seven riders and teams like Trek-Segafredo, Astana and EF Education First took turns at the front of the peloton to control the gap. The escapees were almost caught at the first ascent of Willunga Hill, where Sky set a high pace that left CCC Team's Patrick Bevin, the leader until the last stage, struggling behind. Sky stayed at the front also at the last ascent and Porte attacked with a bit more of one kilometre to go and bridged across to Poels. Michael Woods (EF Education First) and Chris Hamilton (Sunweb) reacted and Impey continued at a steady pace at the wheel of his teammate Lucas Hamilton. Porte was the first rider to crossed the finish line and was followed by Poels and Impey. "I took the pressure but having the faith of the team goes a long way," the South African commented. "We saw the boys committed right to the end. I couldn't believe they (Porte and Poels) were that close so I just dug deep and went for it. "That's special to go back to back. I never dreamed to come here and win twice in a row. Every year we come here with strong ambitions. I knew the competition is always tough. I just believed in myself, and it was just fantastic to pull it off."